The IMDEA institutes have a strong international character which has been designed to attract and foster scientists of international relevance. In less than a decade they have managed to create a top-level international critical mass of researchers. The excellence of the research staff hired has been achieved by making the selection process international and based strictly on scientific criteria, following the system used by the best research centres in the world, through international job postings. In 2015 almost 500 researchers worked in the IMDEA Institutes. Of those, 55% were doctors. 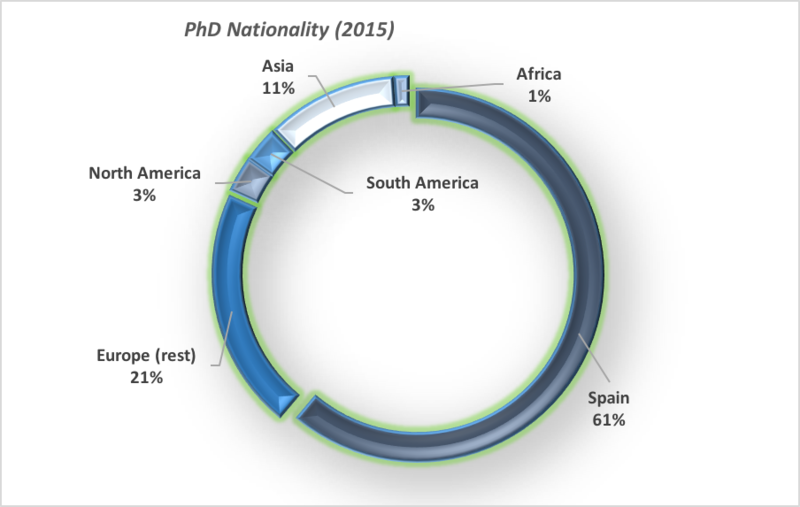 They came from all over the world to join the IMDEA network, so it isn’t surprising that 39% of the doctors weren’t Spanish and that almost half of them had previously worked in research centres outside of our country. 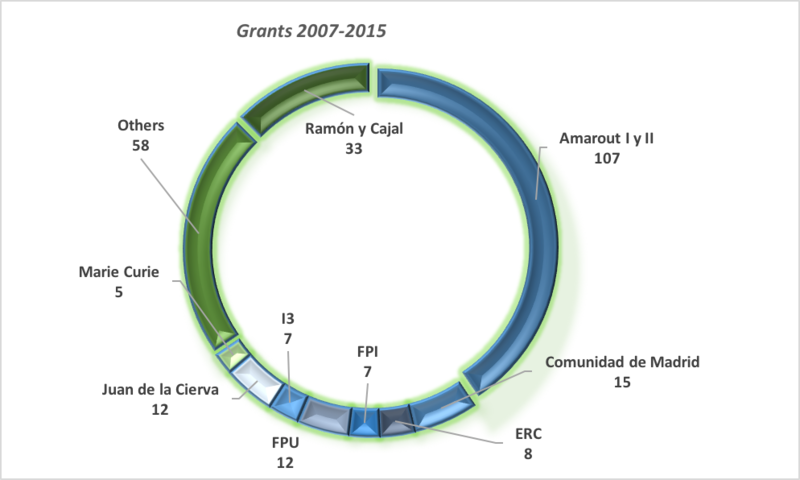 It also isn’t surprising that since 2007 they have received more than 260 grants, both public and private, in order to finance their research, and that a good proportion of those grants were European.